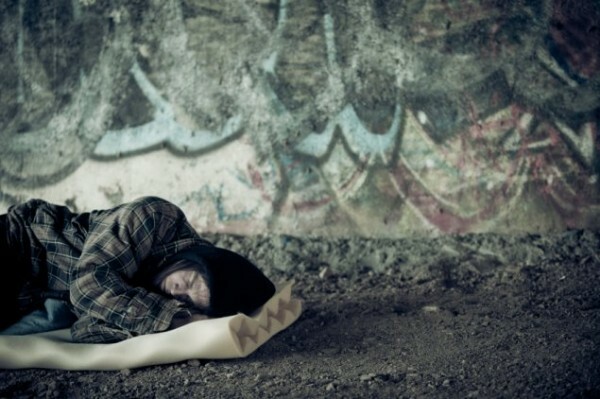 The need is growing for crisis accommodation for homeless people in the ACT. The model for giving homeless men a roof over their heads during the winter months is expanding into Canberra’s south with a pilot program in Tuggeranong to meet growing need. The Rotary Club of Tuggeranong, in conjunction with the Salvation Army’s Tuggeranong Corps, has started Safe Shelter South, opening initially on Sunday nights in the Salvation Army’s hall in the Churches Centre in Anketell Street from 7 pm to 7 am (doors locked at 10 pm). Safe Shelter ACT coordinator Richard Griffiths said it was hoped to expand the pilot project eventually to include more nearby halls, and cover seven nights a week in subsequent winters. Mr Griffiths said the numbers of homeless people sleeping rough in the ACT were not lessening. He said that in the first five weeks of operation this year, the number of homeless men seeking shelter at Safe Shelter’s three inner-city sites were in line with last year, with more expected as the winter deepens. With at least one shelter open every night of the week, Safe Shelter said it had 130 “guest nights”, at an average of 3.71 guests each night since 22 April. In the same five-week period last year, with shelters open only five nights each week, there were 94 guest nights, at an average of 3.76 guests each night. “There has been almost the same average number of Safe Shelter ACT guests as last winter and we expect more homeless men will come for shelter when Canberra’s winter eventually arrives,” Mr Griffiths said. Mr Griffiths said the operation of the three inner-city shelters – St Columba’s and the Salvation Army halls in Braddon and All Saints in Ainslie – had gone smoothly and enough volunteers had been recruited to run them. He said more than 65 of last winter’s 95 volunteers have volunteered again and there have been over 65 new volunteers, with further induction courses during the winter to make up for any losses. “There have been enough donations to re-stock each hall with operational basics, mainly swags, jackets and supplies, for the start of this winter. The next goal is to accumulate enough money to upgrade and certify quickly a new hall if anything happens to an existing one,” he said. Mr Griffith said that Safe Shelter Queanbeyan operated on a slightly different model, but there had been close liaison between the Queanbeyan and Canberra shelters, allowing homeless men from Queanbeyan to be sheltered in Canberra when the Queanbeyan shelter could not be opened and, on several occasions, homeless women from both regions had been sheltered in Queanbeyan. Safe Shelter has previously called on the ACT Government to provide or fund more permanent emergency shelters, which may be forthcoming in next week’s Budget. Good work by those involved. Tuggeranong can be a bit forgotten for these kind of services. Kambah was highlighted as the most Mortgage Stressed Postcode in Australia in 2015 and still the worst in Canberra in the most recent 4 Corners report. Very high bank foreclosures have been in the Tuggeranong suburbs. Homelessness is the long tail of the kind of issues that take a while to show themselves. Let’s support our struggling citizens. Fantastic, but what about the homeless women and families? Tina, just the thing we were talking about. How great is this! Really hoping Safe Shelter receives funding in Tuesday's ACT Budget.